Schiefler-Mosel 137. Etching on wove paper, full margins. According to Schiefler-Mosel, there were around twenty impressions. Emil Nolde’s etchings reach far beyond traditional printmaking of the turn of the century. He created rich tonal and textural areas through unusual applications of acid to his etching plates, and masses of undulating, interwoven lines by scratching with a variety of tools. 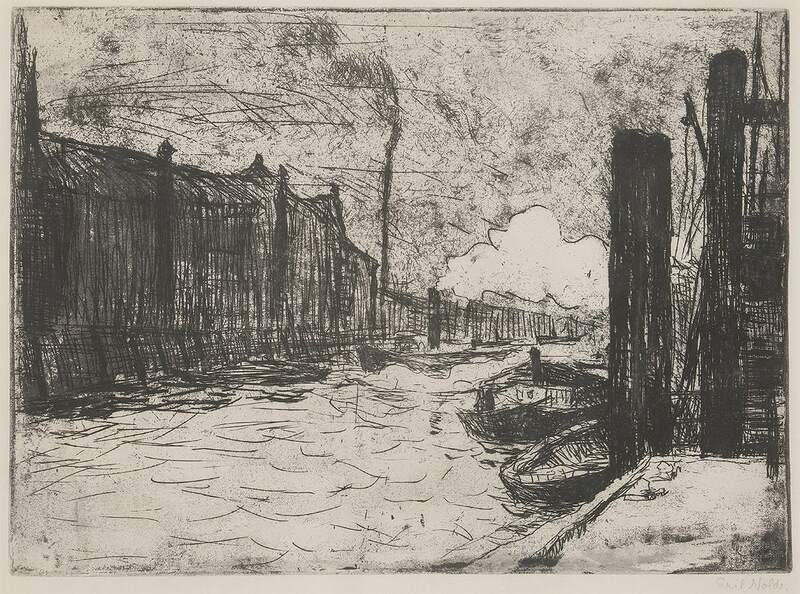 One of his Hamburg Harbor series, this etching is a rich black impression printed with plate tone.